The idea that is communicated to the dentist is either that the patient does not believe that the problem being described exists, or that even though a problem was found, it somehow does not need to be repaired because it doesn’t hurt. 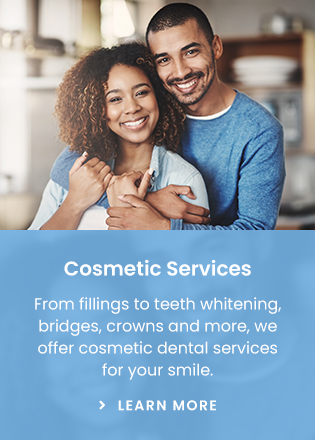 Many dental items fit into this category, including small or medium sized cavities, periodontal disease (which is damage to the bony structure around the teeth), broken or leaking fillings, teeth covered with plaque or calculus (tartar), or deeply worn down teeth. None of these dental problems commonly hurt, but without treatment all will unavoidably lead to nasty (and much more expensive) problems later. Health problems that do not hurt are much more common than most of us want to think. High blood pressure doesn’t typically hurt. Most of the time, being overweight doesn’t hurt. Early on, cysts and tumours don’t usually hurt either. No one can argue that any one of these other medical problems is not a problem that needs to be looked after, but for some reason for a lot of people, if something in their mouth doesn’t hurt, it is not worthy of being treated. Just as in the rest of medicine, early diagnosis and treatment reduces how much treatment is needed and the cost of that treatment as well. To combat the assumption that some people have that maybe the problem that has been located is not there at all, many dentists have invested in what is called an intraoral camera. This is a device that takes pictures of items in the mouth. The pictures are viewed by the patient and the dentist on a computer screen and saved in the patient’s permanent file. One or two teeth can be made to fill the entire computer screen. This allows the patient to see any problem the dentist is seeing when looking into the mouth. In a similar way, some dentists have invested in digital radiography (x rays) that can also be shown to the patient on a computer screen. Both of these devices allow the dentist to show the patient exactly what problem has been identified and where it is. So that usually covers the people who don’t believe there is a problem present. The other problem, which is that some people can identify the problem, but think there is no reason to fix it until it starts to hurt is a bit more difficult to address. Most people will understand what the expected outcome of delaying or avoiding treatment is if one of the members of the dental team explains it. For those who still don’t feel like getting a problem fixed, I don’t quite know exactly what it is, but maybe some people live so in the moment that if it doesn’t hurt, it must be tomorrow’s problem. I remember well having my father (who was and still is my dentist) tell me when I was a teenager that if I didn’t start flossing, there would be cavities between the teeth to fill. I figured I didn’t have any pain, and there were no cavities right then, so how could there be something to worry about? It didn’t take more than a couple of years, and the cavities one by one began to show up and have to be filled. I was in dental school and ten years older before the flossing message actually sunk in. Thankfully most people don’t have to go to dental school to start flossing, but I did. Simply put, it costs less and takes less time to take care of a problem when it is still small than it does to wait until pain starts. If you are a dental patient who only fixes something when it hurts, next time you are at the dentist’s office, you would do well to ask your dentist if there are items in your mouth that would be expected to turn into larger problems if not looked after until pain starts.